UPDATED: Mon., Jan. 22, 2018, 10:56 p.m.
North Idaho College requested an increase in state funding next year of more than $1 million, but Gov. Butch Otter is recommending a small cut in NIC’s budget. That means priorities that the Coeur d’Alene college has identified may go unfunded next year. Those requests include doubling the capacity of its popular new computer science program and stationing college counselors in high schools to help students examine their options after high school. Though Otter’s overall budget proposal for the state’s four community colleges for next year shows a 15 percent increase, that’s largely because of the addition of the new College of Eastern Idaho, formed by voters this year. Otter’s budget proposal for NIC shows a 2.3 percent decrease from this year’s state funding. When NIC President Rick MacLennan made his budget pitch to state lawmakers on Monday, he highlighted two of his four unfunded budget requests, and members of the Joint Finance-Appropriations Committee were interested. Rep. Luke Malek, R-Coeur d’Alene, helped secure the original funding to start the computer science program at NIC, said he believes building its capacity is critical. He said he’s hearing that demand from everyone from timber, mining and agricultural companies to a gun-holster manufacturer and high-tech firms. NIC’s budget requests weren’t the only ones going unfunded. 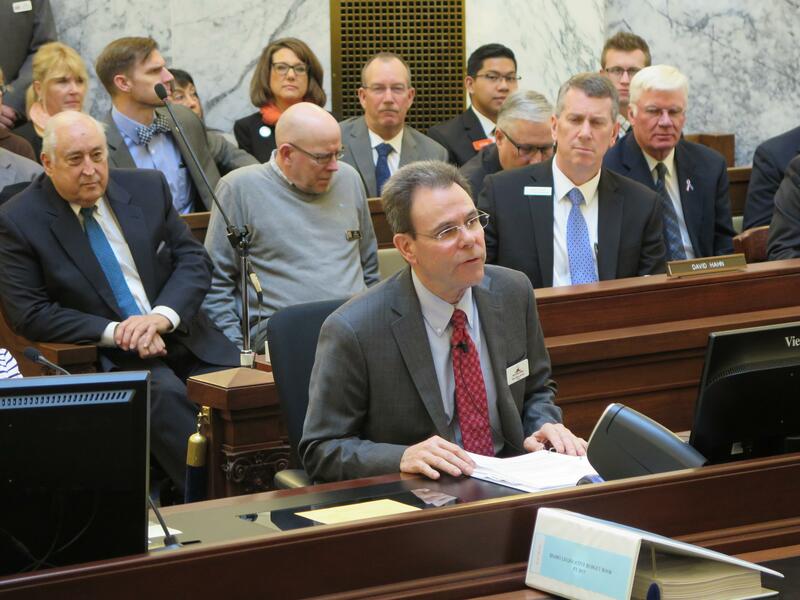 Requests for budget boosts from the College of Southern Idaho in Twin Falls and the College of Western Idaho in the Boise area also were rejected by the governor. David Hahn, budget analyst for Otter, said Otter opted to target increases toward the recommendations of his higher education task force, which wants to revamp Idaho’s higher education governance system by hiring a chief executive officer and combining business systems, including procurement and human resources, among the state’s universities. “He wanted those resources to be targeted toward those task force recommendations instead, so that was the emphasis, and that’s the reason why,” Hahn told the budget committee, whose members repeatedly asked why he recommended not to fund many of the requests. The college also requested $302,900 for a pilot project that sought to allow 2,000 students to enroll tuition-free in three credits during the summer of 2018; and a “first-year experience program,” which sought $174,500 to support a year-long, comprehensive program aimed at improving retention for at-risk students. The computer science program is a collaboration between NIC and the University of Idaho that allows students to study for their first two years at NIC, then transfer to the U of I and earn four-year degrees – all without leaving Coeur d’Alene. It’s in its second year now and has a capacity of roughly 60 students. NIC officials said there’s enough demand to double the number of students. MacLennan said the college requested counselors because high school students sometimes consider higher education only as four-year colleges. But there are many other choices, he said. Sen. Mary Souza, R-Coeur d’Alene, said she support’s NIC’s career-technical education programs. But she questioned why only Kootenai County residents pay property taxes to support the school when it serves the entire five-county area of the Panhandle. “Can you give us an idea of what you’re trying to do to convince some of the nearby counties that participate in NIC to actually become part of the tax base as well?” she asked. MacLennan said he was approached early on by some community leaders interested in the idea, and still thinks something might develop. Though only Kootenai County pays property tax to support NIC, all counties in the state whose students attend the college pay $500 per student per semester from their share of state liquor funds. That’s a 1982 formula, however, and some counties – including Benewah and Shoshone – don’t get enough in liquor funds to cover the cost, so they dip into their county budgets. Published: Jan. 22, 2018, 12:37 p.m. Updated: Jan. 22, 2018, 10:56 p.m.